Specialising in media and medical transcription, having had over 20 years experience in medical transcription and several years in media. Do you need help you with filing, sorting correspondence, photocopying and collating? 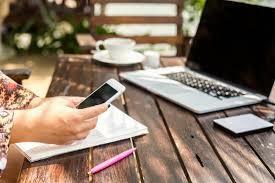 We can do this for you so you are able to concentrate on your business. All forms of typing undertaken. 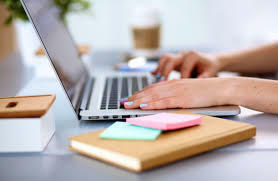 Copy typing, audio typing, tenders, minutes, invoices and quotations. We can manage your mailing lists and send out marketing letters to perspective clients. We can provide support services to any industry, whether it be providing support services for the Real Estate industry or assisting the Construction industry. From updating your Facebook page to writing your tweets we can help. If you don't have time to keep up to date with social media then this is an area in which we can help. A Virtual Assistant (VA) is an independent contractor who provides administrative, creative and technical support to clients. The role of the Virtual Assistant can be performed from anywhere, in fact the VA might even be in a different country to you! This could be to your advantage due to time differences, meaning that whilst you sleep, the work doesn't stop! Its cost effective! You only pay for the hours you need. No tax, pension, vacation pay, sick pay, maternity/paternity leave. You don't need to spend hours training them as you know they are qualified. No office space required as they work from their home office. ​A VA can focus on your day-to-day tasks, giving you time to focus on the things that count - business efficiency! DO I NEED A VA? Do you feel like you have a never ending to-do list? Do you simply not have enough time in the day to focus on your goals because the more mundane tasks are taking over? Are there aspects of your business that you simply need a helping hand with? Contact us today and let us help your business grow! We offer a tailor made service for each client. Whether you need an ad hoc service, or whether you need more consistent hours, there is a plan for everyone!